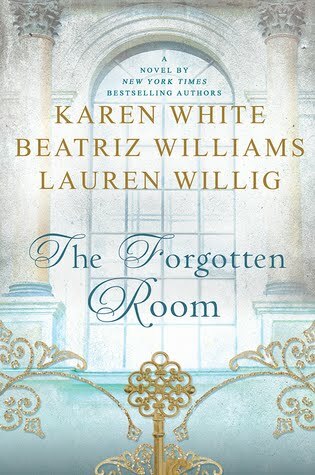 The Forgotten Room masterfully weaves together the stories of three women from different generations, who not only share DNA, but also a room in a mansion that was never theirs. 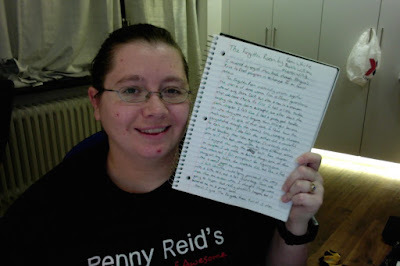 At first, I had a little trouble keeping the three ladies straight, but after about the sixth chapter I felt like I had a pretty good handle on who they were and keeping them separate became much easier. In spite of that issue, I liked how the story rotated through the women's lives, changing characters with each chapter. I also felt the authors did a wonderful job of blending their tales together. It certainly didn't seem as if this book were written by three different authors. I enjoyed the way the mystery built from chapter to chapter, giving us little clues but more questions in the process. I was made to believe things, some of them true, some not. I felt triumphant for figuring some things out long before the characters did, and like a fool when a reveal proved me wrong. One of the underlying premises of this story seemed a little odd and a bit disturbing to me. There was more than one occasion when I thought things were going to happen that really shouldn't happen, and it bothered me on a primal level.